With this being our first article of the Gregorian new year, it is quite appropriate that we shift into a new gear. With the Handpan Mafia in full retreat mode and no further Satanic Handpan subjects in sight as of the moment, we would like to turn our wide steelpan spectacles towards the Mecca in order to make some sense out of all of the madness and scandal surrounding PanTrinbago and the fact that thousands of pannists who performed in Panorama 2016 have yet to be paid checks that will not bounce. Although the individual performance fees only amount to $150 (USD), when you multiply this amount by the thousands of pannists who are awaiting payment, one quickly realizes that the Devil is in the details. 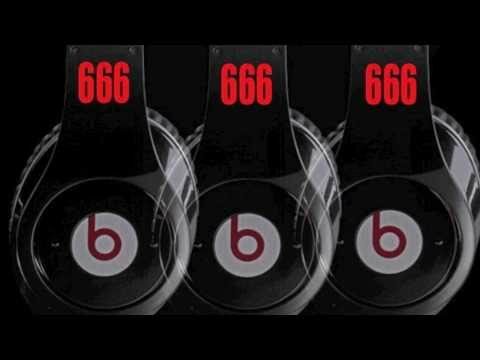 For good measure, satanic logos as they relate to the steelpan are nothing new as in the recent past, we published an article entitled, ''Panyard Inc., an Apartheid, Demon- Possessed, Parasitic Patriarch of the International Pan Market'', and uncovered a rotary sun wheel with 6 spokes in the Panyard Inc. logo. As NCC is the oversight body for Pan Trinbago, an organization that bills itself as ''The World Governing Body For Steelpan'', it is clear that corruption flows from the top down. As we do not believe in coincidences, it does not strike us as coincidental in the least that Keith Diaz, President of Pan Trinbago and the central figure in the latest scandal surrounding the organization is also a Commissioner of the NCC. NCC Board: Minister of Community Development, Culture and the Arts, Dr. The Honourable Nyan Gadsby-Dolly (seated 2nd from left) takes a group shot after presenting newly-appointed NCC Chairman, Kenneth De Silva (2nd from left standing), and the new Board of Commissioners – (from left)Deputy Chairman, Ainsworth Mohammed, Pan Trinbago President, Keith Diaz, NCC Commissioner Darian Marcelle (2nd from right), NCC Commissioner Sharmaine Singh (seated far left), and NCC Commissioner Jacqueline Springer-Dillon (seated far right)with their official instruments of appointment. Sharing the moment are Permanent Secretaries Victor Jones (4th from left) and Vidiah Ramkhelawan (seated, 2nd from right); as well as NCC Chief Executive Officer, Michael Guyadeen (far right). What do Carnival, saltfish, chitlins and hog maw have in common? They all happen to be remnants of slavery that negroes in the western hemisphere are unwilling to rebuke as the colonial traditions that they are, firmly rooted in the Trans-Atlantic slave trade. Despite the numerous promotional campaigns and an entire tourist industry which is geared towards promoting Carnival, Trinidad is definitely not the home of Carnival as one may be led to believe, since Carnival as we know it is a decadent European custom that the former slaves (Israelites) in the Caribbean are unwilling to relinquish. In Trinidad, Carnival is a central theme of the tourist industry, and the Trinidad & Tobago Parliament established the NCC with the sole purpose of selling Trinidad as a decadent destination of debauchery, degenerate behavior and demon conjuring during Carnival. The bright, blood red color usage in the word ''Carnal'' above is accentuated exquisitely by the smearing of the letters, as if smeared in blood. Complete with complementary claw marks coupled together to add an underlying effect, the National Carnival Commission confirms exactly what we have known about Carnival all along. Given the overwhelming evidence we have presented above, is it surprising that the rank and file pannists who performed in Panorama 2016 have been left holding bouncing Pan Trinbago checks, while the outlook of steelpan in the Mecca looks increasingly dim? We dare say that when the Devil is in the details as in this particularly sad steelpan situation, it is best to read the fine print! ﻿Peter Tosh - ''Mark Of The Beast"
what have I got to be coveted?